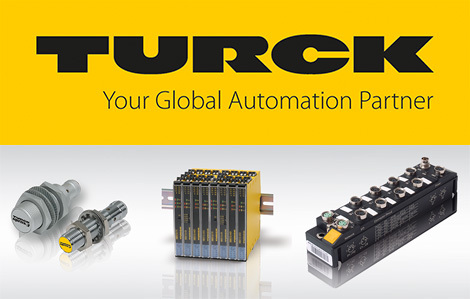 Turck is one of the leading manufacturers in industrial automation. With about 4.000 employees in 28 subsidiaries as well as sales partners in further 60 countries, we are always close to you. As a specialist in sensor, fieldbus, connection and interface technology and also human-machine interfaces (HMI) and RFID systems, we offer efficient solution for factory and process automation. With our state-of-the-art production facilities in Germany, Switzerland, the USA, Mexico and China we, as a family-owned company, are able to react quickly and flexibly to the demands of local markets. No matter if applied in machine and plant construction, in the sectors of automotive, transport and handling, food and packaging or in the chemical or pharmaceutical industry, automation solutions and products by TURCK increase the availability and efficiency of your systems. Moreover, you also lower your costs for purchase, storage, installation and operational safety through effective standardization. Industry-specific knowledge, gained through intensive dialog with customers paired with electronics development and production on highest level, ensure optimal solutions for your Automation.